Based on the InnoWaggon, various container types that have emerged from many years of product portfolio development are used for supplying the building material industry with raw materials. These diverse raw materials include grits, sands, gypsum, granulated slag, feldspar and many more. 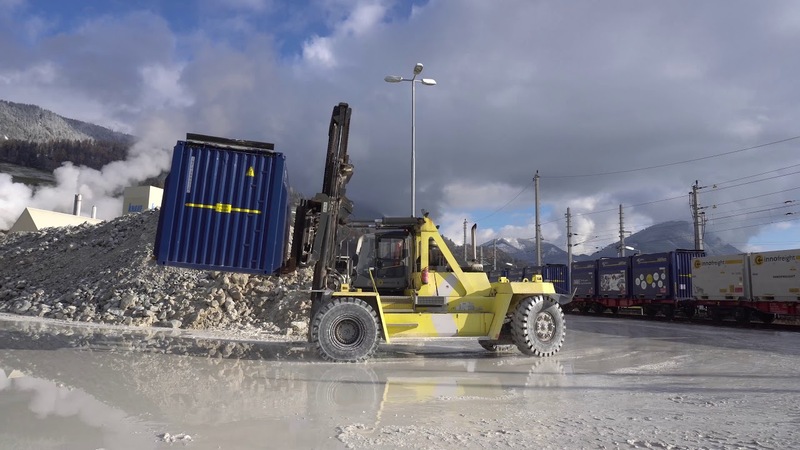 The main distinguishing feature when it comes to choosing the container type is the unloading technology which, in turn, depends on the requirements of the respective unloading point. The RockTainer line generally uses deep bunker systems for purposes of unloading and utilises the cargo’s gravity. These special containers feature a saddle-shaped floor and two unloading flaps on either long side. Additionally, RockTainer INFRA’s special feature is the possibility of dosed unloading through unloading ramps, a feature predominantly used for track ballast. The WoodTainer line uses the mobile rotating unloading system including flexible hopper feed-in or direct loading into lorries.